David Owen Norris, the first winner of the Gilmore Artist Award, has played concertos all over North America and Australia, along with several appearances in the BBC Proms. The David Owen Norris Piano Trio is made up of violinist Camilla Scarlett, cellist Jonathan Byers with David Owen Norris the pianist. 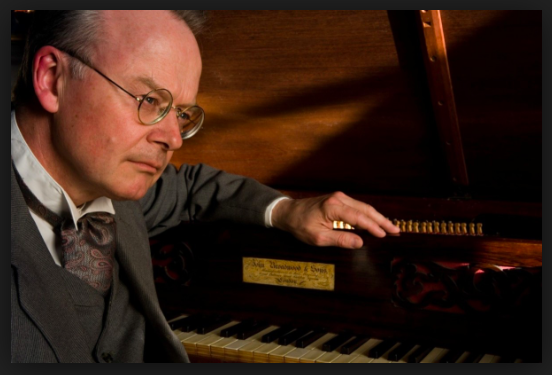 All play on early instruments, the violin and cello strung with gut rather than steel and Norris playing on a 1828 Broadwood piano, offering a potential delicacy of sound. You can now purchase tickets for more than one concert in a single transaction. Select the option to place the ticket in your basket when offered and this will allow you to continue ordering tickets for other Stockbridge Music events.